It’s been said that our generation has lost it’s reverence for anything holy. No where is that more true than when we approach the topic of transcendence. Because we’ve lost a holy appreciation for God and his nature, we talk little about transcendence. Really, we don’t know what it is. But just because we don’t understand it’s relevance doesn’t mean there is no value in the reality. God is transcendent and appreciating that reality will help us in our journey to know and understand Him. God is transcendent. What that means is that God is infinitely greater and higher than we are. Tozer says that transcendence is used to describe One thing (God) who is above our created universe. He is quick to point out that words like “above” should loose all of their spatial meaning. God is above us in the way that He is separated from us by His beauty and His grandeur. 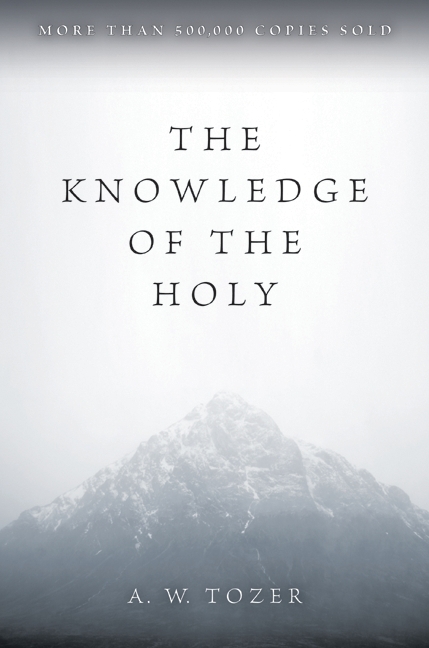 Tozer goes on to describe how God is so much higher than us, but not by degrees. He is of an entirely different category. Even though the archangel is “above” the worm, God is still a similar distance “above” both because He is uncreated. He alone is perfection. Tozer goes on to say we are all to comfortable with this transcendent God. He argues that if an angel from around the throne of worship would come to earth, they would find our discussion of anything else but God’s glory puzzling. And if we caught a true glimpse of God as He truly is, it would ruin us for anything but discussing Him. These are the words of the enraptured heart, but again, we should trust the words of an enraptured heart. Tozer also points out that an intimate relationship with God, far from being ruined by the fear of the Lord and the awe of His person, is actually strengthened and maintained by reverence for Him. I feel like this is important to highlight. We want a God we can know and be close to and I think that a God we can be close to is great, especially since it’s the God scripture describes for us. But God sets up a tremendous paradox: The reason we can draw close to God is because of the death of His Son. Should Jesus not have died in our place, drawing near to God would not be an option. Moses, the man who spoke to God as a man speaks to his friends couldn’t look directly at His glory. No man has ever seen the full display of God’s glory and lived to tell the story. And it’s this radiating glory from this uncreated being that is nothing like us that makes Jesus’ death so incredibly valuable to us. We are now invited in to relationship with this God who should destroy us. We shouldn’t fear being destroyed by God by drawing near to Him. Rather, we enter into God’s presence with reverence, knowing that the ticket into this relationship was extremely costly. We treasure the access we have with God because we know it is unique and not common. We purify ourselves of our sinful ways out of reverence for the One we stand before. And instead of this separating us from God, it draws us closer. I know that many would say these thoughts are old-fashioned. The stuff of holiness preachers and legalists. But for those who have spent years drawing near, it’s the stuff of gold that enables people to press on into knowing God. I need this today more than ever. I hope you find encouragement to draw close as well. So today, ask God to reveal His transcendent nature to you. Ask Him to show you what causes the angels to never stop singing. And ask Him to stir in you a love and fear of the Lord. You won’t be disappointed. That’s my takeaway today. What’s yours? Leave a comment so we can all grow together! To often we think of God as a person who is like us only on a slightly higher plane. I have heard people say how when they finally see God they are going to give Him a piece of their mind. Oh, how far we have fallen.